Look closely. The clues are there. What you’re looking at is not a . Nor is it the next generation Tiguan. 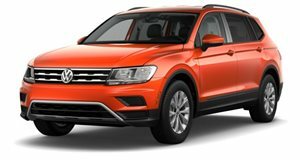 The only thing it has in common with the Tiguan is the fact that it’s a crossover. 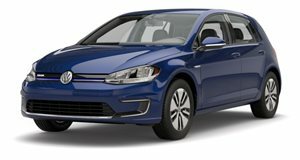 The truth is this is a disguised prototype of the upcoming all-electric . Our spy photographers recently caught images of this test mule undergoing some heavy snow testing and there are a few clues indicating its true identity. For starters, its body shape is slightly longer, there’s an extended area between the doors, and the side sills are thicker. What else makes us think this isn’t the generation Tiguan? Because it’s way too early for it to arrive. The current model debuted in 2016 and a mid-life refresh does not have this amount of structural changes. Using an altered Tiguan body makes complete sense as VW engineers need to simulate the next best thing without giving away the final production vehicle’s final design. That's standard practice in the world of testing prototypes. The I.D. Crozz has already been previewed in concept form and from what we’ve been told the final design won’t be dramatically different. It’s also set to be offered in two bodystyles, a typical SUV and a sportier SUV coupe. Think BMW X3 and X4. , it will ride on the automaker’s all-new and state-of-the-art MEB platform. Under the hood (or rather under the floorboards) will be a battery and electric motor powertrain combo that will produce up to 300 hp in top spec models. All-wheel-drive will be available as well, though lower trim versions will be rear-wheel-drive, just as they are with Teslas. We’re expecting VW to reveal the production I.D. Crozz (still unsure whether that’ll be the final name) either later this year, possibly at Frankfurt in September, or early next year.